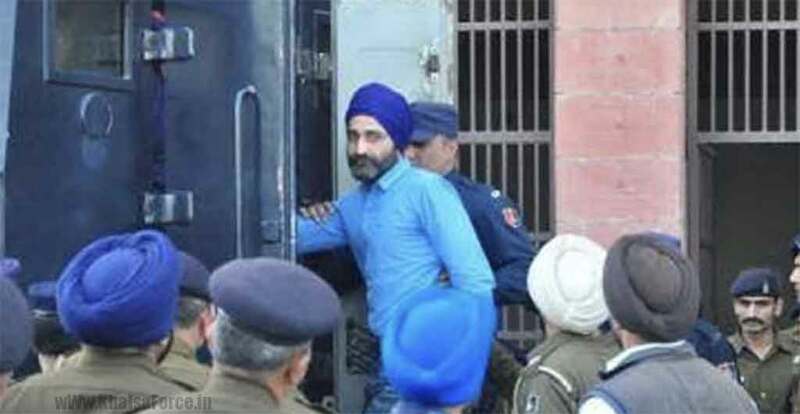 Chandigarh: Retired SSP Surender Paul today deposed before a trial court in Punjab chief minister Beant Singh execution case. 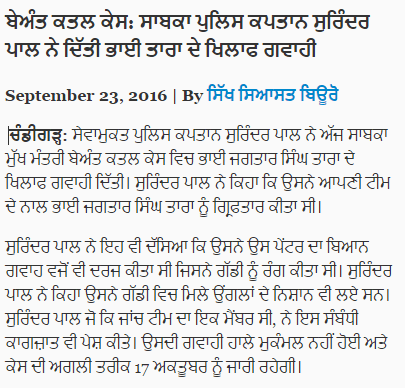 Surender Paul in his chief examination told Additional District and Sessions Judge that he, along with a police team, had arrested Bhai Jagtar Singh Tara. Paul also told he also got statements of a painter recorded in the case as a witness. He confirmed finger prints of the vehicle involved in the case was also taken. Paul, who was one of the investigating team members, also presented documentation. His chief examination could not be complete and will continue on the next hearing on October 17.